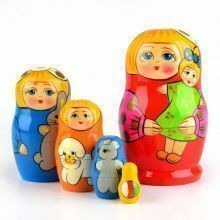 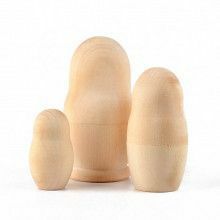 This fun nesting doll is hand painted and imported directly from Russia. 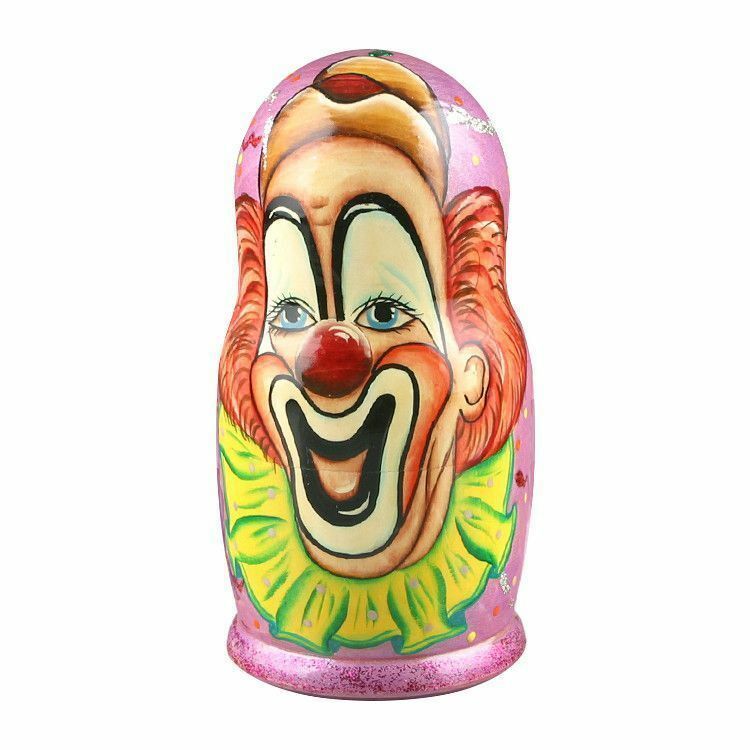 It features a gloss finish with an outstanding clown face illustration. 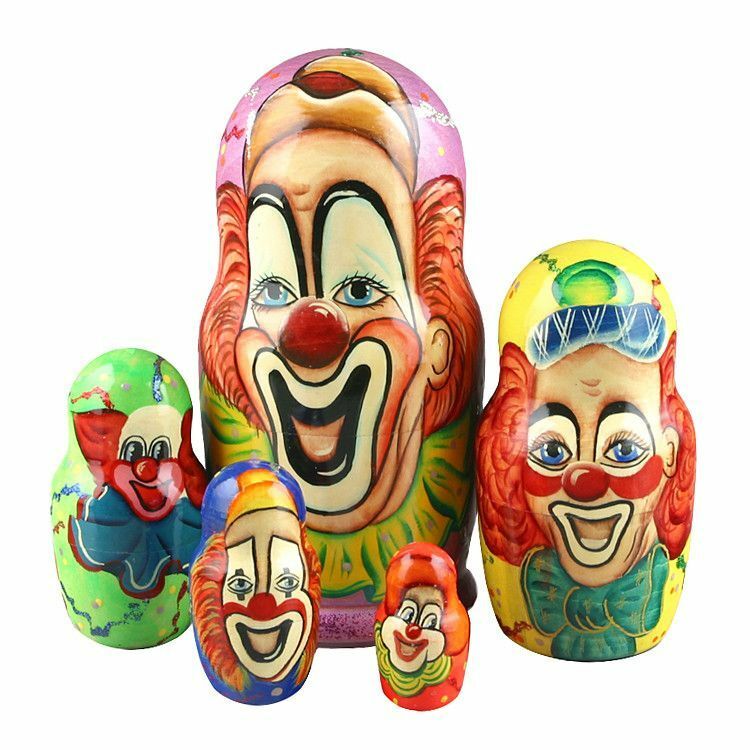 Open it up and it reveals a set of other smaller clowns nested inside. 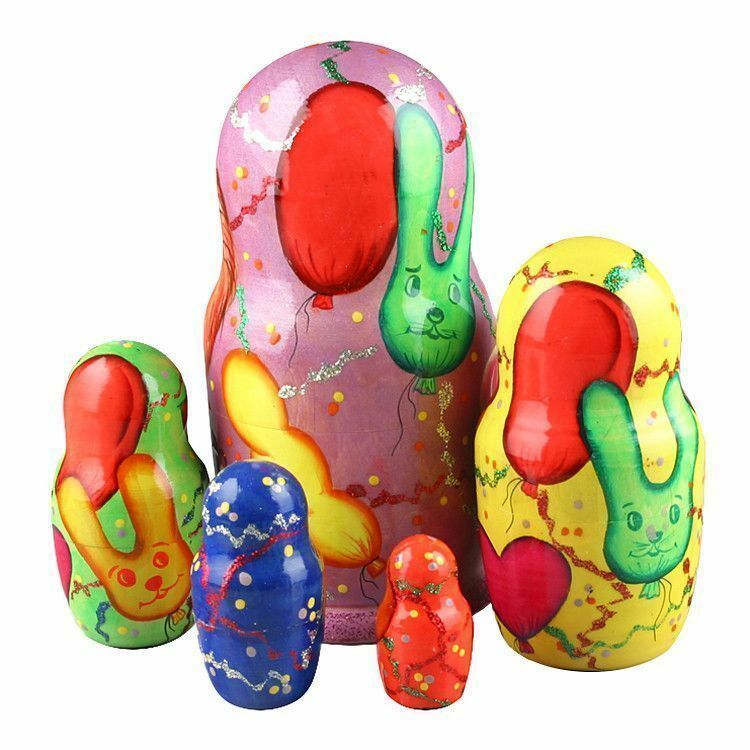 Very colorful and unique!